Prof Rossouw von Solms from the School of ICT and Prof André Calitz of the Department of Computing Sciences were both honoured with a Fellow of the IITPSA Award at the annual IITPSA (Institute for IT Professionals in SA) Presidential Awards Ceremony recently. It is the first time in 35 years that the institute of IT Professionals awarded the honour on Eastern Cape members. The award to Prof Calitz was presented for his contribution to the ICT industry in the Eastern Cape and establishing the South African Computer Accreditation Board (SACAB) and to Prof von Solms for his years of commitment to the international computer organisation IFIB (the International Federation of Information Processing). 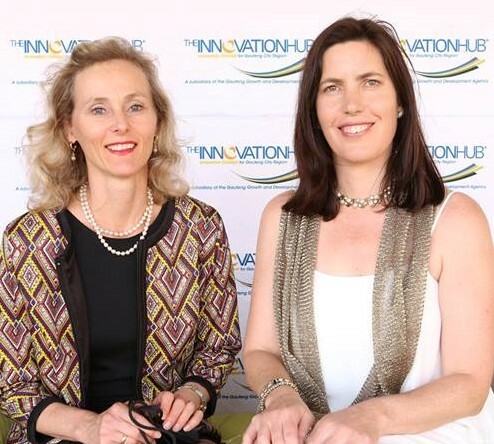 Dr Nicole Vorster (right) from Innoventon and her PhD student Ms Marthie-Postma Botha were recently awarded the GAP (Gauteng Accelerator Programme) BioSciences Technology 2016 Special Recognition Award for their technology which involves extracting bioactive compounds from olive waste for use in the skincare and health sector. The award comprises seed funding and business support at the Propella Incubator in Port Elizabeth. This year the competition was also opened to other provinces. GAP: Biosciences is hosted by the Innovation Hub in partnership with the Technology Innovation Agency (TIA) and in collaboration with Emory University (Goizueta Business School) in the USA. Communication & Stakeholder Liaison staff member and alumnus Beverley Erickson was awarded Honorary Membership of national body, MACE (Marketing, Advancement and Communication in Education) during their annual congress held in Durbanville in November. The award was made for her significant contribution to the organisation and to the promotion of the Marketing, Advancement and Communication disciplines in higher education over a period of 30 years. She has served on the Board of Directors for two terms, and has just stepped down as treasurer/secretary after a four-year term. NMMU Director of Marketing & Corporate Relations, Pieter Swart, received the President’s Award from MACE in 2012 in recognition of his contribution to promoting excellence in the higher education sector. Bev and Pieter are both founding members of the organisation. 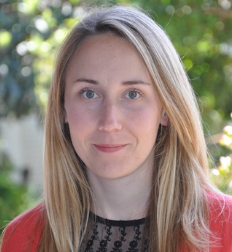 BCom Honours Accounting graduate, Kirsten Illenberger, recently took top honours in a sought after international accounting exam, coming joint-first in the world.Illenberger scored an exceptional 90% in the Chartered Institute of Management Accountants’ (CIMA) Operational Level Case Study exam. The exam, which was written by candidates from all over the world, is based on a real world business and industry to provide a simulated business context. Alumnus Potego Phakwago, Animal Production Lecturer & PhD student (Dairy Farming) in the Department of Agriculture & Game Ranch Management has been selected for a Fellowship as one of 50 Young Scientists in Developing Countries to work in India at the National Dairy Research Institute. He will be working with top rated dairy scientists which will assist his PhD studies on dairy farming - enabling him to publish articles with these top scientists. The ICAR-National Dairy Research Institute (NDRI) in Karnal, Haryana, India will host Potego for a period of six months as he carries out his research study on “Efficiency of Dairy Farm Management Practices of Smallholder Producers in Eastern Cape, South Africa and Karnal, India”.